This Blog is about a journey of a song, written to help people with P.T.S.D. What Offends ME! by A vet with PTSD. I came across this Blog, and after reading it, I thought is was something I should share. For the individual that wrote this and to all those who served, I thank you for your service. Morning,It has been awhile since I wrote. 1. Because I was struggling and didn’t want to write anything. 2. I just didn’t have anything to say. I don’t want to write just to write. I want to write because I want too. I know some of you are thinking well you were struggling why didn’t you write about that? Well, because I didn’t know how to express everything that I was struggling with. I didn’t know the words. It was and still is hell. I am not sure when the last time I got a decent night’s sleep. I am not sure when the last time I had a decent day was. Without wanting to scream, cry, etc. It seems like people now days are being offended by everything and anything. So I thought I will add to it all and make my list what offends me. Maybe we can get it banned or something. 1. People disrespecting my American flag and hiding behind freedom of speech and such. 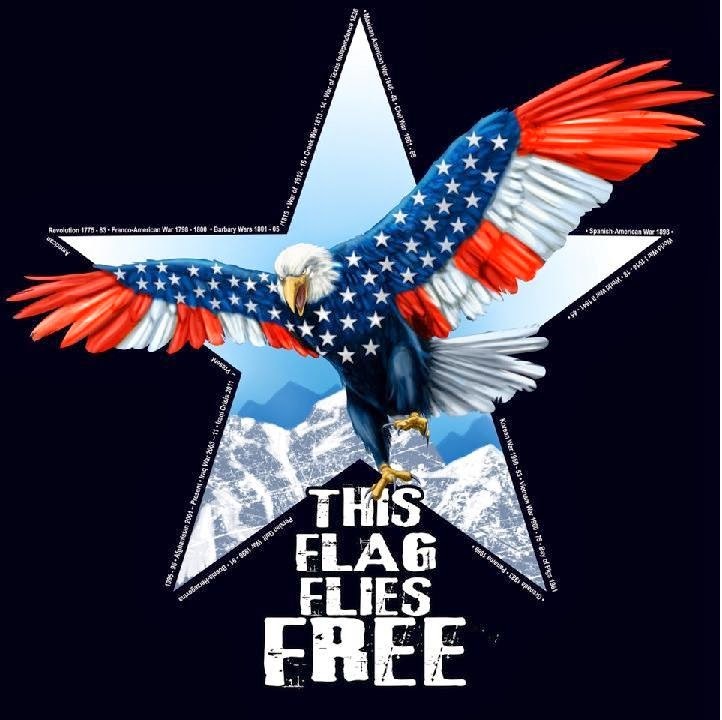 Let me help you out, if you are offended by the flag, well let me help you pack and get you a one way ticket to any place but here. I would like to know how the flag offends you but the benefits and all that it represents or offers does not offend you. 2. People with loud music when I am driving down the road I can have my windows rolled up and still hear their music. I don’t want to hear about drugs, gangs, killing people etc. Let alone the cursing and swearing that is in the music. If that is what you want to call it. I think people should be pulled over and their stereo ripped out and taken away from them. I don’t want to be driving down the road and my daughter hearing the curse words. 3. People who think they deserve to sit around and get paid to do nothing, all because they have 3 kids or so. I am sick of this well I grew up in poverty, things were not offered to me etc. Well I didn’t grow up with a golden spoon in my mouth either. I busted my tail for everything I have now. I pushed myself to get more. No one told you that you could not go to college. Just because it was not offered on a silver platter to you and you have to work for it does not mean jack. You are just lazy! 4. People who think they deserve higher wages to work at McDonald’s, Wal-Mart, etc. Working at those types of places is normally not a career. Why you trying to make it one? Yeah you can go into management in those places which is fine. You will make more then. Those types of places are for young kids to get work experience or people that are retired and just want a part time or so job. Or even people trying to make extra income. It is not something to get rich from working at. If we raise the minimum wage do you know what after effects will happen? When I worked at McDonalds it was $4.50 I think for minimum wage. When they moved it to $5.25 the price of EVERYTHING else went up. So it made no difference. When you force a mom and pop business to pay more you will either force them to close or lay people off. That is not going to help anyone! 5. People who think they should get their way! This is going to take a little clarification. I am talking about the people who say this or that should not be allowed because they don’t like it. Let it be taking god, the pledge of allegiance out of schools, the word god in the courts and government, open prayer, or even these idiots who want to take down the monuments and graves of civil war leaders all because they fought on the confederate side. It is part of history and it is wrong to mess with someone grave. Deal with it!!! 6. People who don’t have control of their kids! I am so sick of parents not watching their kids. Hero and I went out to I forget where the other day and I had to move to the other side or something because kids wanted to pet Hero and they were running up to him. It is not just that, but also kids who are running the streets at night and doing as they please. Or kids who think they can say or do anything they want. Teach your kids to respect others. Yes it is another thing with Hero and I. I don’t need to hear your snotty remarks about a dog being in any kind of business or restaurants. He is better behaved them most people. Get over it! I also I hate it when you put Hero and I out to whoever you are with. Do I point and stare at you? Well I might start I am getting tired of that. 8. Prisoners who think they have rights! You did a crime. You have none! I don’t think you should have TV, work out equipment, or time out of your cell at all. I think you should be locked away! The next time you see natural daylight is the day you get out of prison or when you are out working for the state, federal govt, etc for free! To pay for your housing and meals, not for money this canteen stuff, or money for cable TV etc. you deserve jack! Go on a hunger strike, it saves me money! I know some of these are petty stuff, but I wanted to be just like everyone else and get offended and in an up roar over small simple stuff. It is just crazy. Get the hell over yourselves, not everything you come across is going to delight you or something. How about this, you don’t like something avoid it! Don’t go near it! Just like some people avoid you and don’t go near you because you offend them in one way shape or another. Pull on those boot straps!! Don’t give up on yourself! You can make it thru the hard times! I Came across this article on line and it was one of those must share stories, I hope you enjoy it as much as I did. Listen to the young people, F-this, F-that, and nary anyone will step up and correct them- even with wife and kids in tow! First , this school will no longer honor race or ethnicity. I could not care less if your racial makeup is black, brown, red, yellow or white. I could not care less if your origins are African, Latin American, Asian or European, or if your ancestors arrived here on the Mayflower or on slave ships. The only identity I care about, the only one this school will recognize, is your individual identity -- your character, your scholarship, your humanity. And the only national identity this school will care about is American. This is an American public school, and American public schools were created to make better Americans. If you wish to affirm an ethnic, racial or religious identity through school, you will have to go elsewhere. We will end all ethnicity, race and non-American nationality-based celebrations. They undermine the motto of America , one of its three central values -- E pluribus unum, "from many, one." And this school will be guided by America 's values. This includes all after-school clubs. I will not authorize clubs that divide students based on any identities. This includes race, language, religion, sexual orientation or whatever else may become in vogue in a society divided by political correctness.